A custom diagnostics solution developed by an Ohio engineering firm could have important implications for industries that strive to keep their production lines humming. Plagued with severe vibration levels on their equipment, a large-engine manufacturer had spent a significant amount of money over two years repairing seven problematic test cells. Beyond the repair costs, the failures were beginning to create a bottleneck in production, a cost that can easily escalate to tens of thousands of dollars a day. 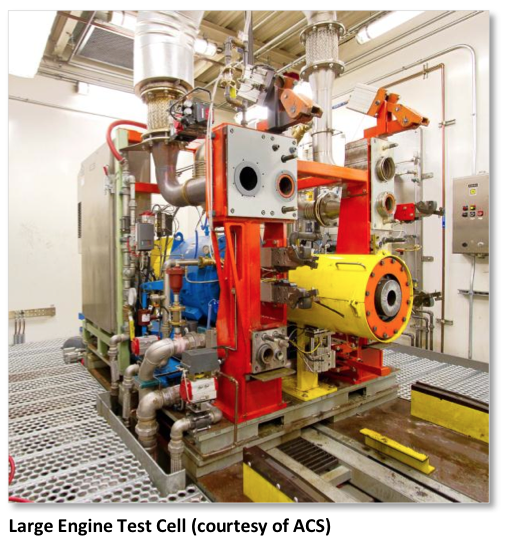 ACS — which designs and builds some of the world’s leading engine and vehicle test facilities for their clients — sought out Integrated Test and Measurement (ITM) for assistance with resolving the problem for their customer. The Milford, Ohio engineering firm delivered a remedy that ACS engineering team leader Jason O’Brien calls an “elegant solution” and one he says ACS now encourages their manufacturing clients to integrate into their test facilities. Essentially, ITM — working with sister company SixDOF — developed a custom Test Cell Vibration Monitoring System (TCVMS) that now allows the engine manufacturer to monitor the health of its testing equipment to see if and when it begins to vibrate at dangerous levels, then either make adjustments or schedule repairs before extensive harm is done to either the dynamometer or the engines being tested. Before the TCVMS was integrated into the complex system, however, engineers from SixDOF and ITM, needed to find and fix the source of the vibration on the manufacturer’s test cells. Using ITM’s iTestSystem software (iTS), they validated the Finite Element Analysis (FEA) models that helped pinpoint the root issue that was causing dynamometers to fail. A dynamometer or “dyno” is a component in the test cell that gets coupled to an engine and is designed to absorb both horsepower and torque during testing. They completed the engineering rework to fix the vibration issue, but since a single dyno rebuild often hits a six-figure price tag, ACS advised their customer to invest in an early warning system. SixDOF senior engineer Garth Wiley says the beauty of the Test Cell Vibration Monitoring System is that it was fitted specifically for the structural characteristics of the eight test cells in the engine plant. Carlier explains that the TCVMS uses two industrial triaxial accelerometers — one affixed to the engagement pedestal (which holds the engine) and another to the dynamometer itself. The accelerometers measure acceleration in three directions and feed that data to an NI CompactRio acquisition system programmed with NI LabVIEW. 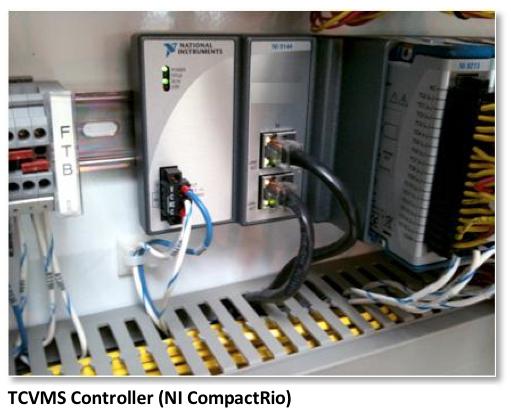 The brains behind the system is ITM’s custom TCVMS software, which runs embedded on the NI CompactRio controller. Though on a much smaller scale, ITM’s monitoring solution for test cells ties closely back to one of the firm’s most successful business models, its industrial monitoring systems (which also use NI CompactRio-based systems) in large paper mill and utility plants. “Essentially what we did was take our two core businesses — structural testing and industrial monitoring — and figured out how to marry them together,” adds Carlier.